This brilliant array will make you the ultimate classic beauty at the next event you attend. 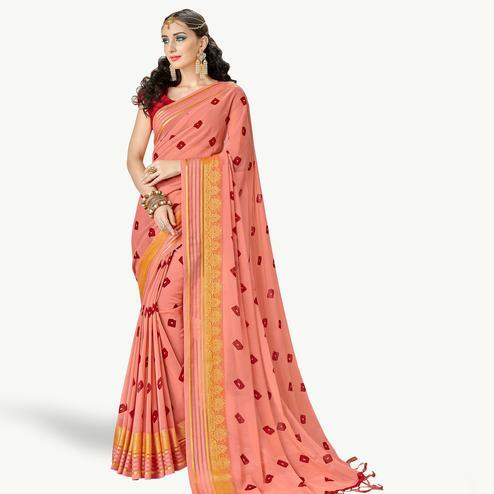 This orange pure pochampalli silk saree has beautiful designer woven border and pallu. 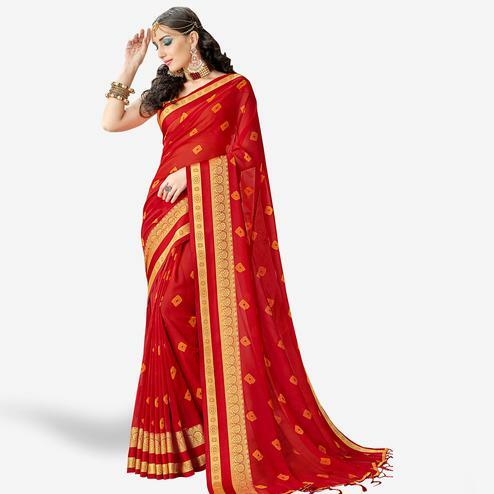 The saree is woven with traditional designs giving a very rich and classy feel. 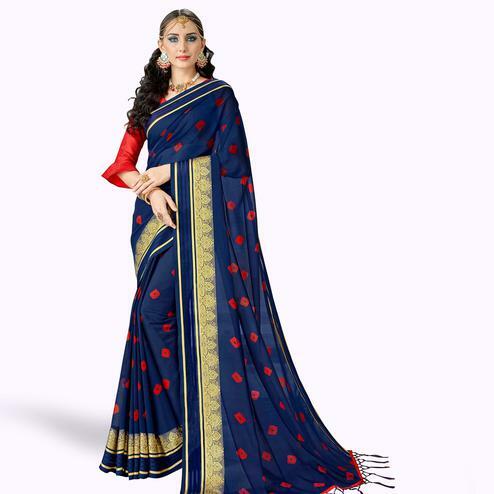 It comes with an attached blouse in unstitched type, which can be stitched as per your style & requirement. It is soft and comfortable to wear and will thus, become your favorite in no time. Style it with right accessories for that complete ethnic look. Suits every occasion. Elegant and eye catching. Perfect choice for every women.